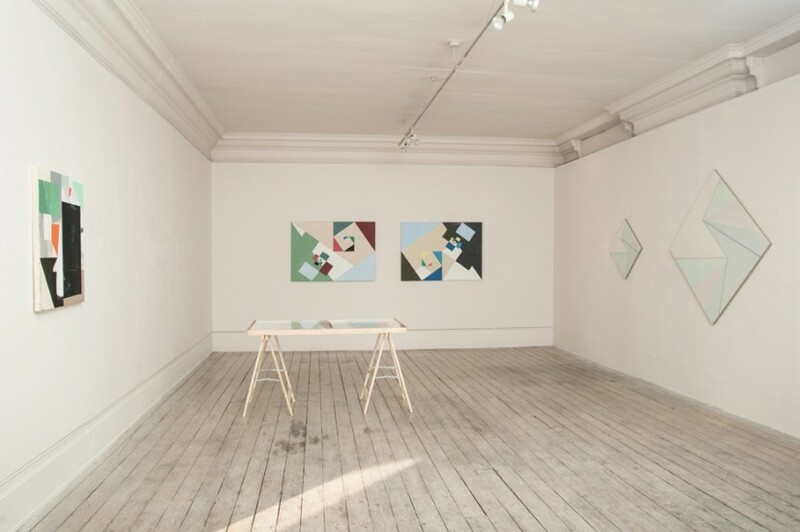 Chance and Order, installation view, 2014. Courtesy The Eagle Gallery, London. Emma Hill set up The Eagle Gallery, in a beautifully proportioned room above the Eagle Pub on Farringdon Road in 1991 – long before the London art world became the feverish nexus of commercial activity that it is now. Twenty-odd years later she continues to make the kind of considered shows such as the current one, Chance and Order, that opened on Wednesday night. 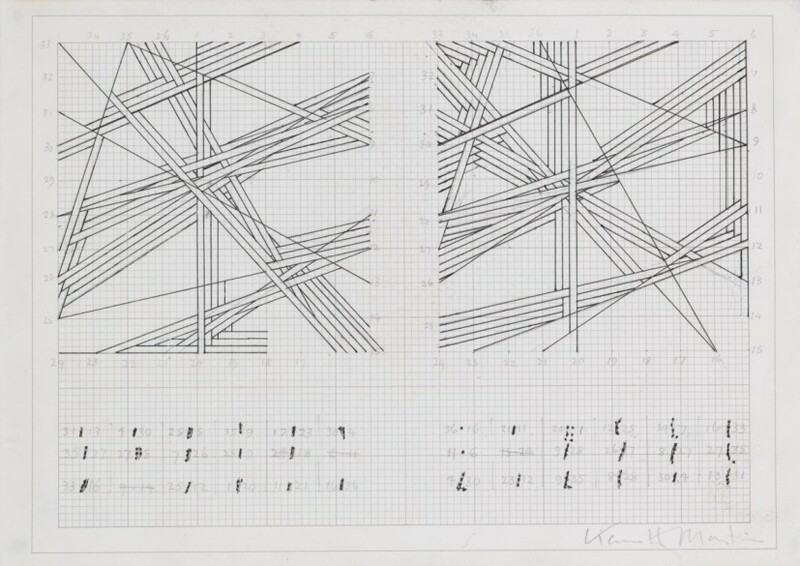 Included in this new exhibition are five exquisite small works by original members of the British Constructionist and Systems groups of artists, Mary Martin, Kenneth Martin and Jeffrey Steele, alongside new works by younger artists still concerned with the mathematical precepts that preoccupied those groups in the 1960s and 70s. 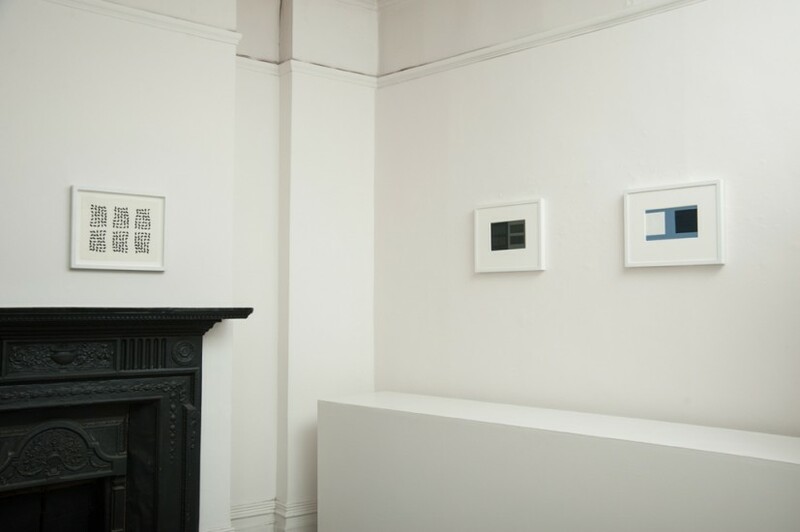 The older works here – particularly the preparatory drawings on paper by Mary Martin and Kenneth Martin, have an austerity and an intellectual clarity to their geometrical abstraction that is as pure as fresh air, and belies the sometimes tetchy dynamics within the group over points of principle. 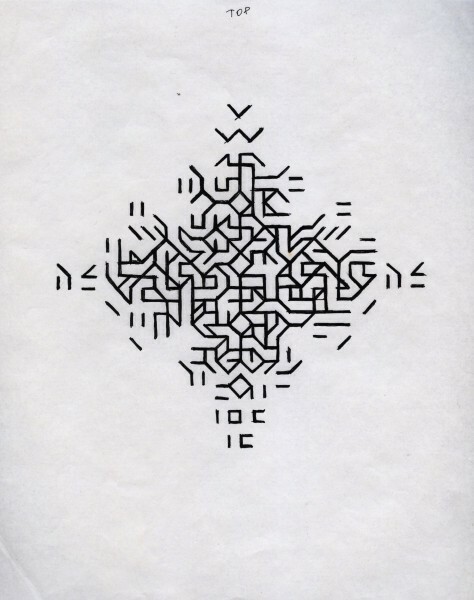 The Kenneth Martin is a pair of preparatory drawings for one of the great series of paintings, all called Chance and Order, or Chance, Order, Change, that preoccupied the artist through the whole of the 1970s. As always, what fascinates us about preparatory work is the annotations of the artist that give an insight into the process of composition. Here we can see, round the margins of the work, how he calculated the sequencing of axes across the drawing. This is work of a type that fell out of fashion quite dramatically in the 1980s when it was viewed as too aridly cerebral. It has only slowly come to be reconsidered for the important place it holds, not only in art history in this country, but for how it fits into a wider, international history of abstraction in 20th century art. The last couple of years have seen enlightening exhibitions that have brought the British work in to dialogue with Brazilian abstraction of the same period. Original adherents to the gospels of Constructivist and Systems art would brook no deviation from the strict formal rules that the group set themselves. A glimpse of this is given in the work by Andrew Bick that combines one of his own prints with a letter from Jeffrey Steele, explaining at some length why the two will never see eye to eye and why Bick’s own work is entirely abhorrent to him! Bick is a curator and academic as well as a practising artist and he takes this kind of remark with a wry smile. His own work incorporates colour and found materials all the while referencing the work of the older group, for whom he has long been an energetic champion both here in the UK and internationally. 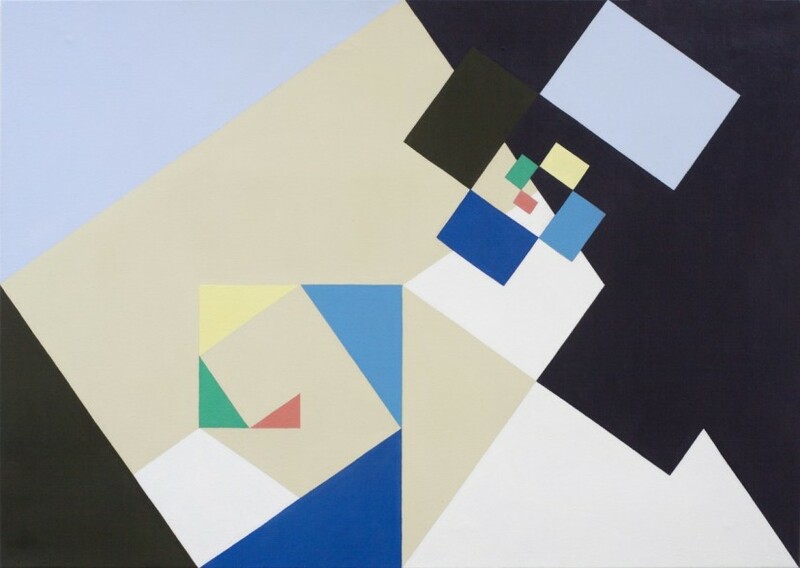 Natalie Dower, by contrast was a friend of many of the original group – though her painting has a lyricism that sets it apart, and she is much younger than the founders of British Constructivism. Dower’s paintings all employ mathematical sequences – most often Fibonacci sequence – as an ordering principle. Spirals abound in works that use a restricted palette of muted blues, greens, blacks and greys. The two new canvasses on the end wall in this show, both 2014, are deeply pleasing, and reward longer inspection by suddenly revealing a depth and dynamic spatial qualities that keep the eye roving hungrily around the canvas. Katrina Blannin is the youngest of the artists on show here. 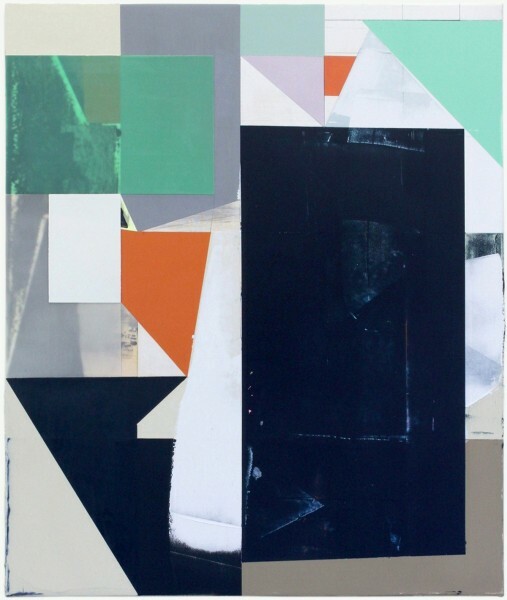 Her diamond-shaped canvases use a paler palette all the while negotiating familiar geometric strategies. This is a quiet treat of a show and one not to be missed if your art itinerary takes you in an easterly direction this weekend.